As a body, Sanskrit writings unfold India's millennia-long, almost unbroken intellectual tradition: not only of philosophy and grammar, but of literary theory as well. 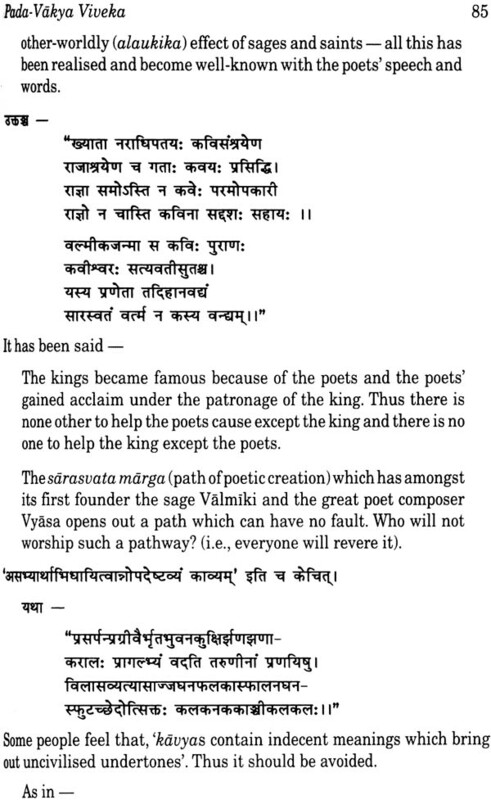 The concepts and critical theories, which the Sanskrit poeticians advanced or the issues they sought to address, inhere both universal appeal and validity. And, with certain modifications, these can well live up to the demands of modern literature. In this long and powerful tradition of Sanskrit literary theory that marked a definitive beginning with Bharata's Natyasastra (first century AD), Kavyamimamsa is a monumental work. 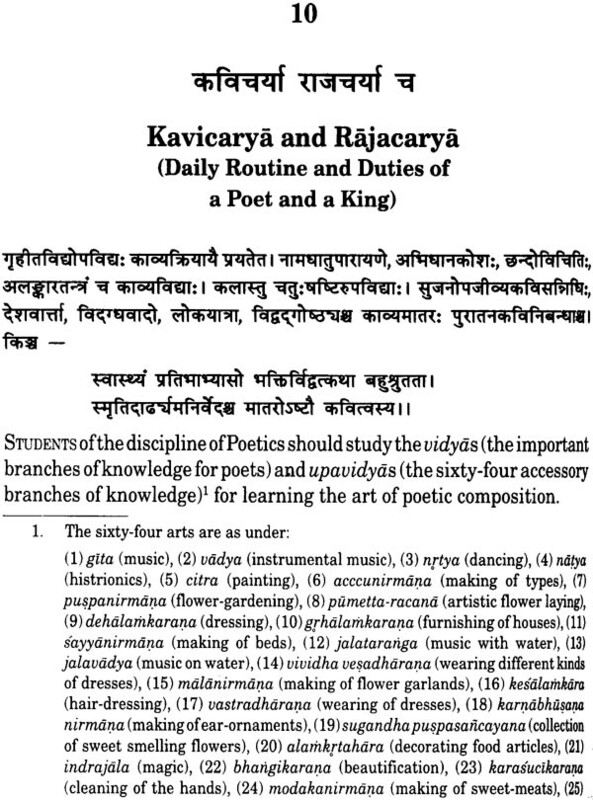 Written sometime during 880-920 AD by Rajashekhara: an eminent poet, dramatist and critic, it is a kind of practical treatise for poets: Kavisiksa manual - highlighting, as it does, all possible attributes that go into the making of a good poet and a good poetic composition. Among other relevant aspects, Rajasekhara also includes here a systematic exposition of the views/opinions of his predecessors, with illustration of the literary practices of various times and climes put down after careful empirical observation. 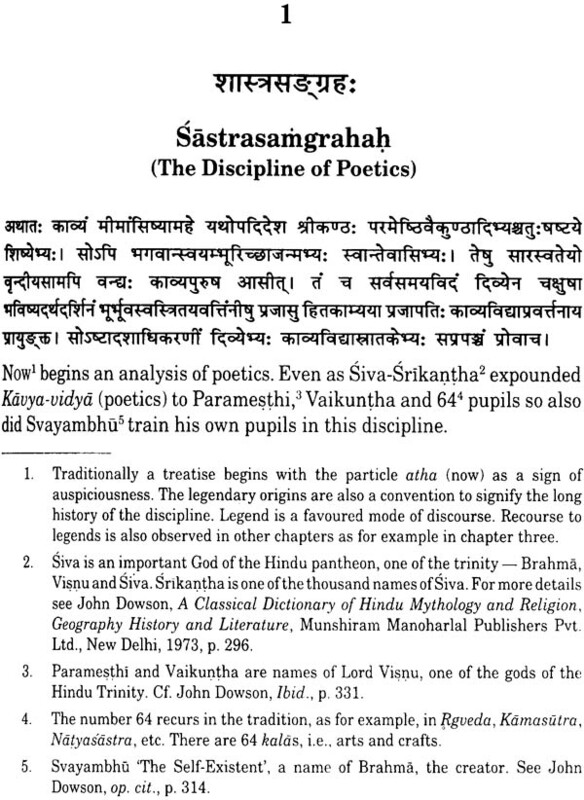 Now, when there is a growing scholarly interest in the study of Sanskrit literary theory and how it is positioned vis-à-vis the Western critical tenets, Dr. Sadhana Parashar brings Rajasekhara's classic within everyone's reach - Offering the first-ever, complete English translation of Kavyamimamsa, with its original Sanskrit text and comprehensive explanatory notes. For sure, it is invaluable to the scholars of linguistics and literary criticism. Sadhana Parashar is a bright scholar of Sanskrit poetics, holding research degrees from the Jawaharlal Nehru University (JNU), New Delhi on her these: Rajasekhara's Kavyamimamsa and Sylvia Plath's potry: An Interpretation in the Classical Indian Framework. Apart from her specialised in interest in Sanskrit literary studies, her area of work involves curriculum development, teacher training in the field of English language teaching, testing and evaluation. She also writes poetry. Currently, Dr. Parashar is working as an Aeo (ELT), Academic Unit, Central Board of Secondary Education, Delhi. THERE has been an increasing awareness and interest in the study of Sanskrit literary theory and its comparison and contrast with and in the light of Western critical tenets. 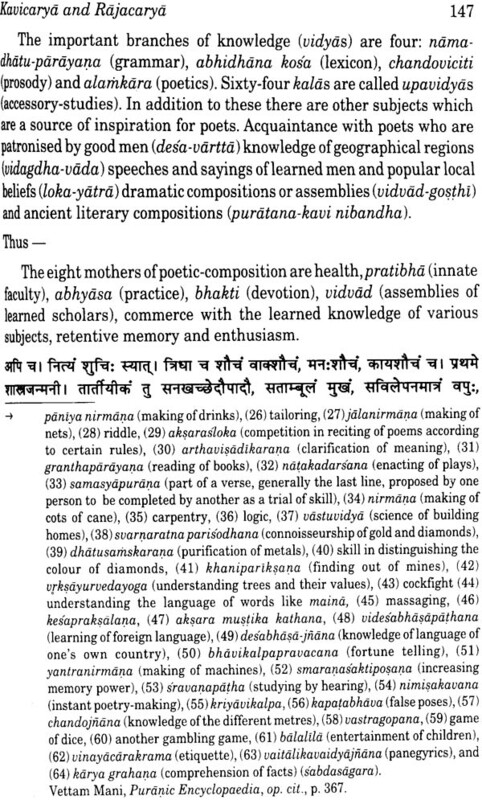 The concepts and theories propounded by Sanskrit poeticians and critics can be modified and adapted to suit the demands of modern literature. The issues raised by the Indian critics are of universal interest and their relevance can be felt only after a comprehensive study of the works of Sanskrit critics. It is unfortunate that the access to them is restricted because only some works have been translated. 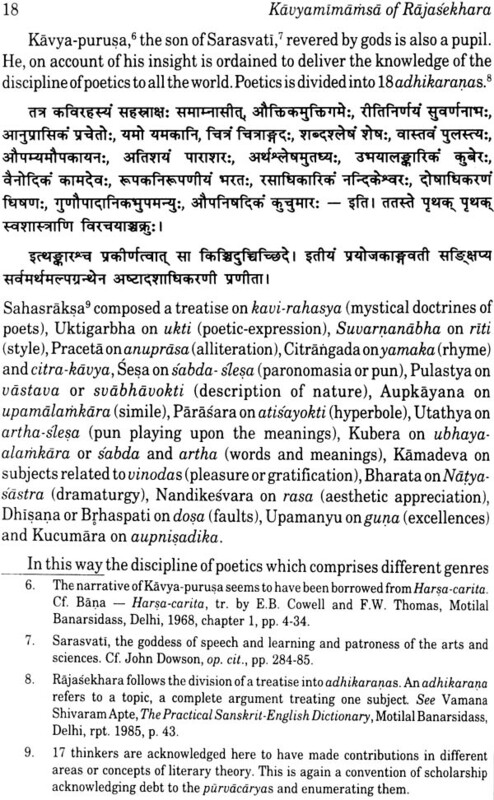 The beginnings of Sanskrit literary theory can be traced to Bharata (first century AD) and his Rasa theory (aesthetic appreciation) propounded in his work Natyasastra though it is a treatise on dramaturgy. 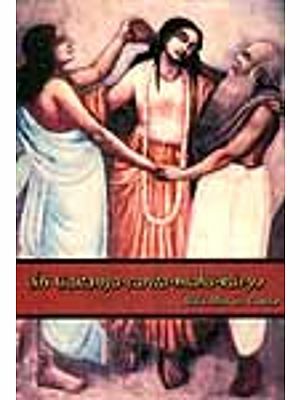 The first work directly related to literary theory was Bhamaha's Kavyalamkara. He is the oldest exponent of the Alamkara school of poetics and defines poetry as an integration of sabda and artha (sound and sense) marked with vakrokti (archedness of expression) and with alamkara as the beautifying principle. Dandin, probably a contemporary of Bhamaha in his Kavyadarsa defines poetry as composed of words conveying the ista-artha or desired sense, and alamkara as a principle of embellishment and attribute conducive to the beauty of poetry. He also takes up dosas (literary defects) and poetic-diction or marga. 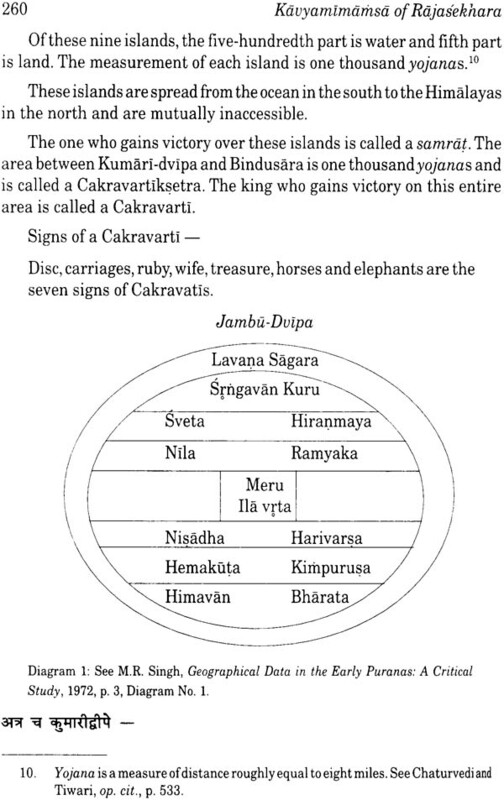 Lollata and Udbhata follow Dandin and the ninth century saw a landmark in Vamana's Kavyalamkarasutravrtti. He is considered as the chief protagonist of the Riti school and he defines poetry as the integration of sound and sense, beautified by gunas (literary excellences) and alamkara (poetic figures). Vamana lays stress on riti (Visista pada-racana-ritih KASV, I.2.7) or poetic diction which he defines as the special arrangement of words and establishes its three kinds - Vaidarbhi, Gaudiya and Pancali. Vamana was followed by Srisankuka and Rudrata. An interval of a few decades saw another landmark in the form of Anandavardhana's Dhvanyaloka which expounds the dhvani siddhanta (Verbal Symbolism in Literature). The tenth century saw Rajasekhara, Mukula, Bhattanayaka, Bhattatouta, Kuntaka and Dhananjaya. 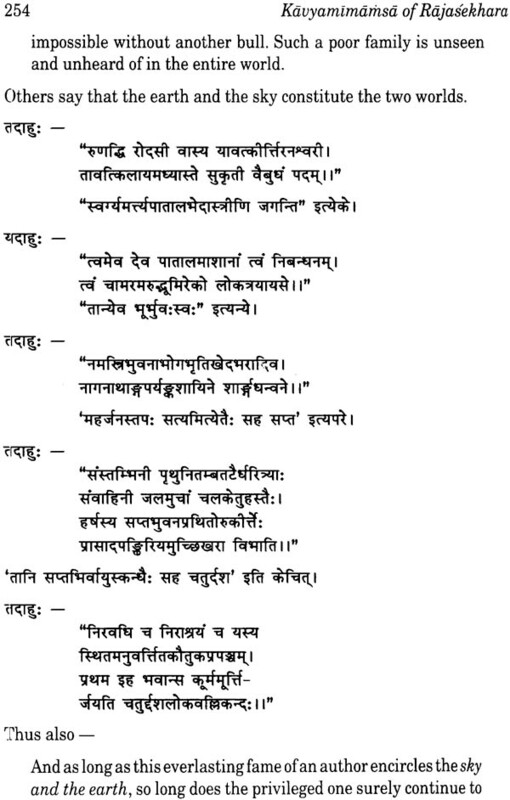 The eleventh century has some major Sanskrit critics - Abhinavagupta with contemporaries like Bhoja, Mahimabhatta and Ksemendra. The twelfth century began with Mammata's, Kavyaprakasa and also brought forward other critics like Ruyyaka and Hemacandra. The thirteenth century produced Jayaratha and Samudrabandha and after a gap, in the sixteenth century we have the critics Madhusudana Sarasvati and Prabhakara. The seventeenth century gave us two profound scholars: Jagannatha and Appayadiksita. Thus there is a continuous and cumulative development of thought within the tradition with each major thinker taking the cue from his predecessors. In this continuous development Rajasekhara holds an important place and in his Kavyamimamsa, we find many elements and issues pertinent to modern critical theory. 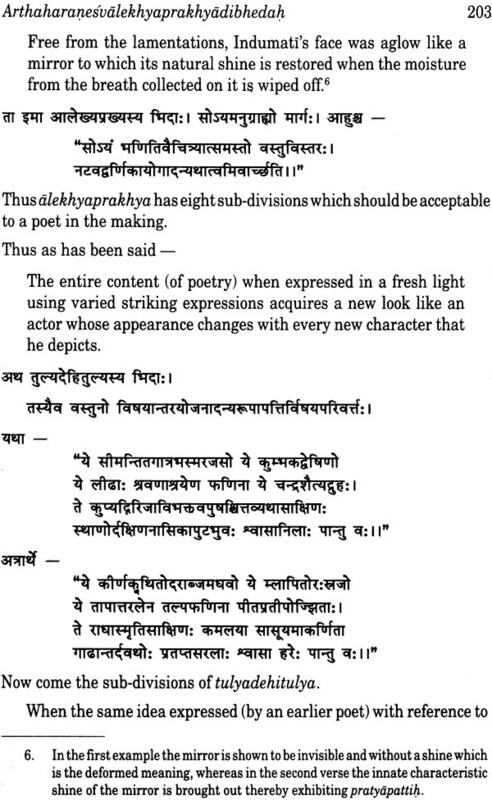 The two major issues of Sanskrit criticism are the art of poetic- composition and poetic-experience. The former concerns the poet and the latter the critic or ideal-reader (sahrdaya). RajaSekhara's major concern is with the poet and poetic composition though he does not leave out the bhavaka (appreciator or ideal reader) who is able to appreciate the poetic genius of the poet. In Rajasekhara as in Eliot, the emphasis is on the creative faculty of the poet rather than his emotional personality. 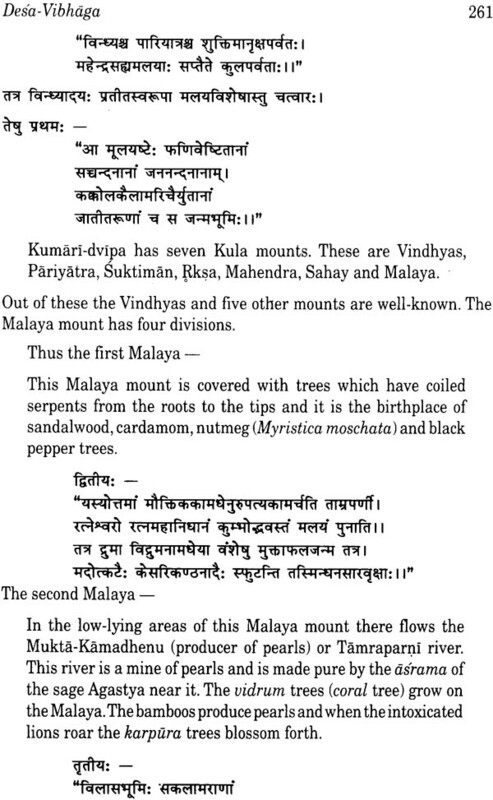 Rajasekhara's Kavyamimamsa is not available in a complete English translation. There is a Hindi translation by Kedarnath Sarma Sarasvat published by the Bihar Rastrabhasa Farisad, Patna, 1965. This does not mention the MSS on which its text and translation are based. 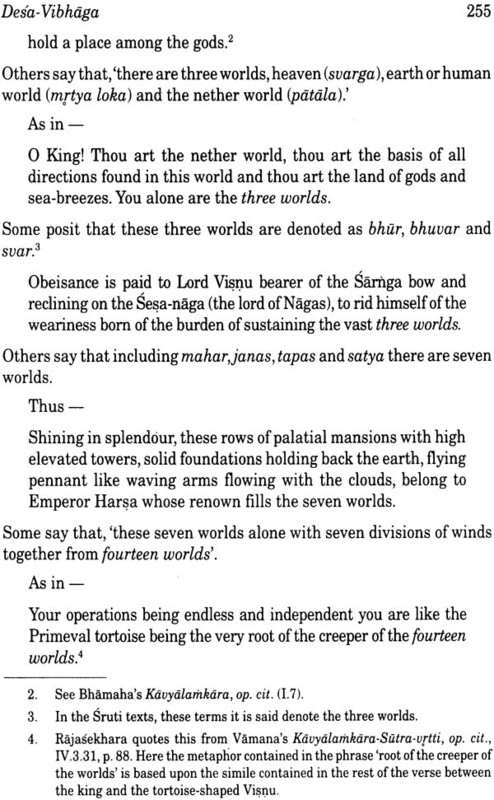 There is an edition with English notes, edited by Dalal and Sastry (Gaekwad Oriental Series, 1934) and is based on two MSS from the Pattar Jain Bhandars, designated A and B. The present translation would not have been possible but for the continuous support, encouragement, advice, suggestions and guidance rendered by my guru Prof. Kapil Kapoor. I am also indebted to a number of people, first and foremost to Vivek Parashar without whose initiation, constant support and persistent efforts I would never have been able to get to the end of this work. The blessings of all my elders has equipped me with a spiritual resilience required for this effort. A very special token of thanks for Subaha, Jaya,Anu and Rakesh. I am also grateful to all the teachers past and present at the Centre for Linguistics and English, School of Language, Literature and Culture Studies, JNU, New Delhi. 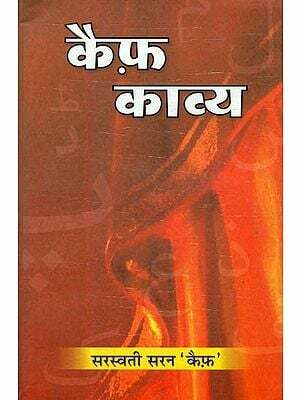 THE objective of this study has been to attempt a translation of Rajasekhara's work, Kavyamimamsa, an extensive treatise of poetics which deals with a large variety of issues in Sanskrit poetics which are also pertinent to literary theory. Rajasekhara, poet, dramatist and critic, belongs to the last quarter of ninth century AD and the first quarter of tenth century AD. He is believed to be the teacher and court poet of the kings' Mahendrapala and Mahipala. 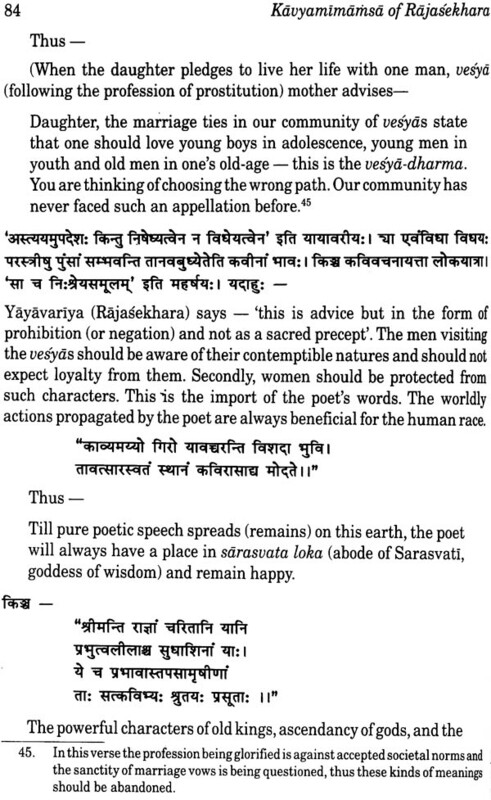 The Kavyamimamsa is written in the .sutra style and is a kind of practical handbook for budding poets. But its interest lies much deeper than its just being a work on the education of the poet or a practical manual on the writing of poetry. The attempt in this study has been to remain faithful to the text and not fall into the trap of transcreation. The foot-notes at the end of each chapter are included as suggestions, incorporations, explanations or references relating to the text.Aconscious effort has however been made to keep the length of the notes in check. Language is central to literature. The description of language of literature is central to criticism. Literary criticism in the context of Indian theories is an "extension of the scientific study of language into the field of the special use of language as a medium of art"
The "linguistic analysis of literature is an attempt to make explicit part of the process of reading by the use of terms and concepts appropriate to the reader's individually internalised yet culturally shared grammar A work of literature can be seen as intricately interwoven with the total system of the natural language in which the work was written, which is in its turn linked with a system of ideological assumptions and, cultural values prevalent in a given synchronic slice. The complexity of the relation of language to literature and structures external to it is felt precisely when one attempts to translate from one language to another. To be able to retain the subtleties of enunciation in a particular language while expressing them in the translation is a challenging task. Translation continues to be an invisible practice. Efforts are on to make translation visible by developing a theoretical discourse to study the conditions of the translator's work, the discursive strategies and institutional structures which determine the production, circulation and reception of translated texts. Translation can be conceived of as a transference of a message from .the source language text (in this case Sanskrit) to a target language (here English), based on the criterion of equivalence. Though we translate words literally aiming at their nearest equivalents yet we do not translate isolated words, rather we translate words bound by their syntactic, collocational, situational and cultural contexts. It, therefore, becomes imperative for the translator to construct a viable typology across several factors while translating. In addition to lexical problems there is also the more serious case of grammatical difficulties specially in the case of interlinguistic translation involving Sanskrit and English. When the signifier in a particular language is used to express certain social, aesthetic and associative-connotative functions, it may not be always possible to replace it by a denotative equivalent without the corresponding associations or connotations. In Sanskrit which is a heavily accented language, changed accents in compound words may be used to obtain different connotations from the same words according to the rules of grammar and it may not be always easy to get dynamic equivalents in English. To take an example, in chapter thirteen we come across compounds like amsujala -and yaminivanitaya. 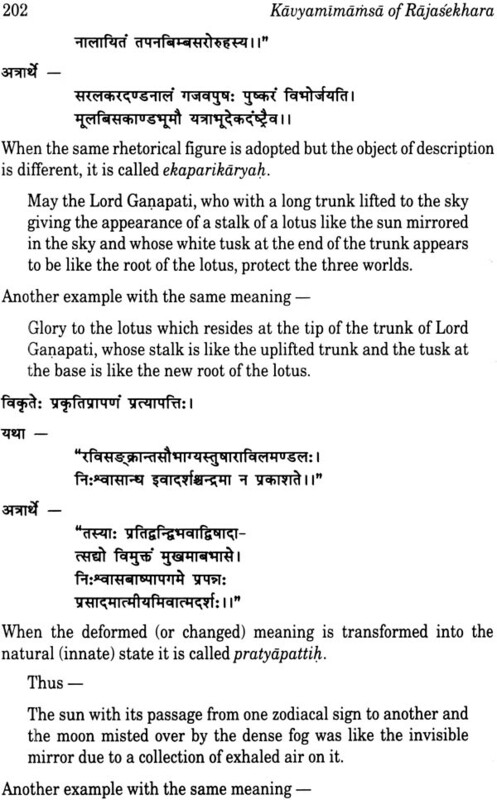 Sanskrit lends itself to very effective and evocative compounding but when translating it into English we would have to paraphrase it into 'X like Y' construction. However this construction seems to disperse the effect so a 'YlikeX' construction has been employed to capture the unity of the Sanskrit compound. Some terms used in Sanskrit are also multidiscipline terms in the sense that certain words can have more than one meaning each belonging to different disciplines of study as for instance, adhikarana can mean 'a discussion constituted of five parts', 'a court of justice' or 'the instrumental case in grammar'. There are numerous other terms like samshara, vrtti, karma, vacana, aranyarodana, etc.